Home How to wear wigs? Please refer to our photo when you first time try to wear the wigs. 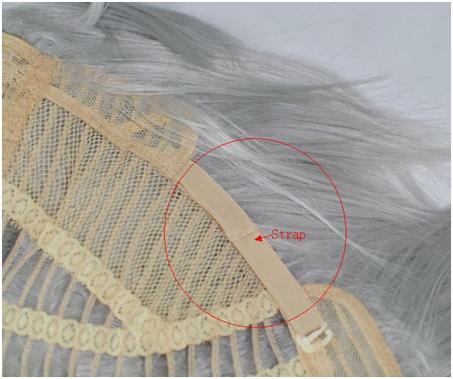 (iii) If it is a wig with extensions or clips, you will need to put a wig cap first, put on the wig, and fix the clips or extension on the wig, as the following photos shown. 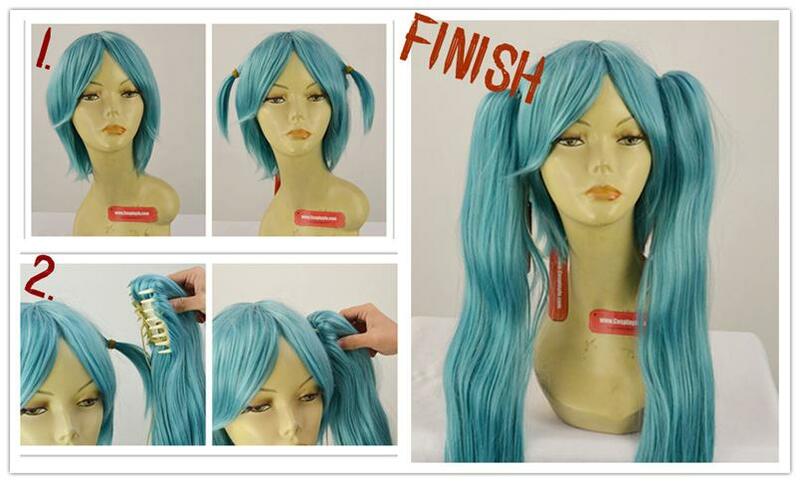 *You can adjust to the size by the straps inside the wig. Do the wigs come already styled or do you have to style them yourself? ( *^_^* ) Thanks for your questions, questions are always welcome. Yes, we sell wig caps & combs at http://www.cosplayfu.com/category/%241+Item.htm , but we don't sell the hair styling clay. All CosplayFU wigs size are fixed and suitable for head circumference which between 50-80cm, so there is no option for wigs size. Actually our wigs fit everyone unless someone's head is typically big or small. *For most of our costumes, you can choose the 'custom size' and order costumes in your size. Are you able to style the wigs with a heated tool? Like a curling iron or straightening iron? Are you allowed to use hair spray when styling a wig instead of hair clay? **Q: How to wash wigs ? A: You can wash in cold water with shampoo and wash gently. But remember do not brushes until it dry. When it is dry, then you can brush wigs into desired style.